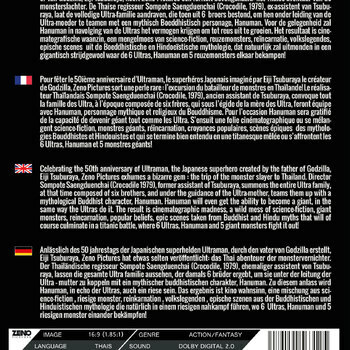 In celebration of the 50th anniversary of Ultraman in 2016, we release for the first time in Europe the DVD of 'Hanuman vs. 7 Ultraman'. 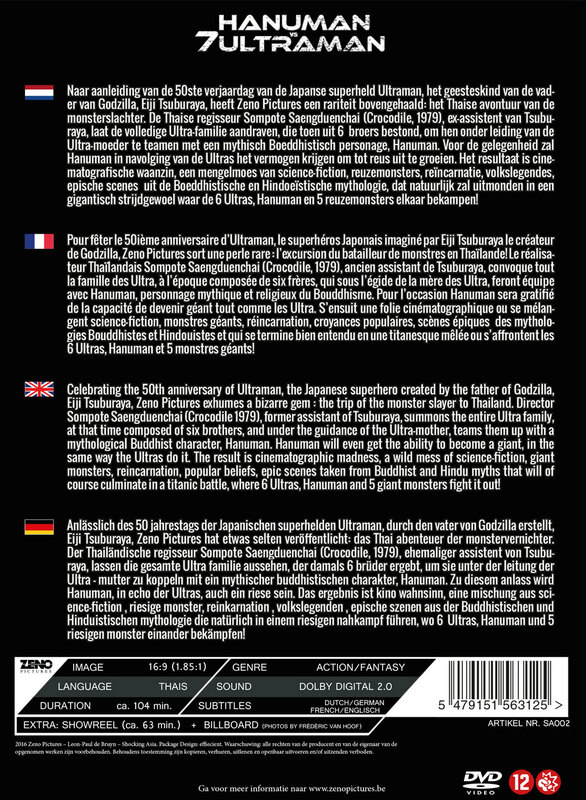 This Limited Edition has the main feature with Dutch, French, English and German subtitles, a showreel of Sompote Sands and a photo gallery of the museum in Thailand. Now available exclusively on this website as a nice digipack with sleeve and original poster artwork! 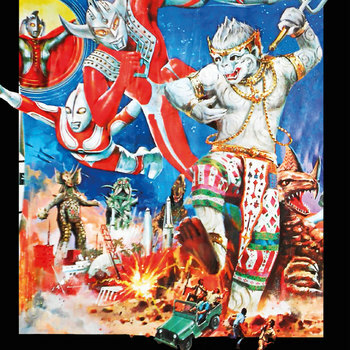 Celebrating the 50th anniversary of Ultraman, the Japanese superhero created by the father of Godzilla, Eiji Tsuburaya, Zeno Pictures exhumes a bizarre gem : the trip of the monster slayer to Thailand. 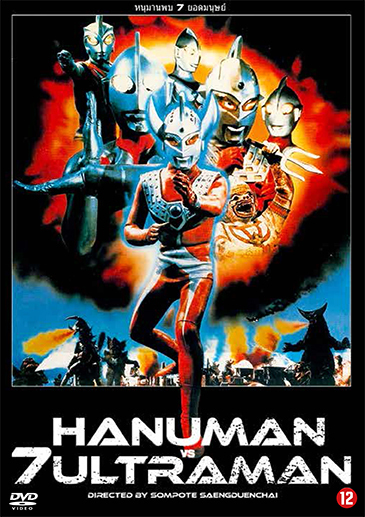 Director Sompote Saengduenchai (Crocodile 1979), former assistant of Tsuburaya, summons the entire Ultra family, at that time composed of six brothers, and under the guidance of the Ultra-mother, teams them up with a mythological Buddhist character, Hanuman. 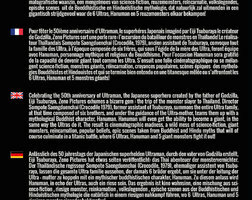 Hanuman will even get the ability to become a giant, in the same way the Ultras do it. 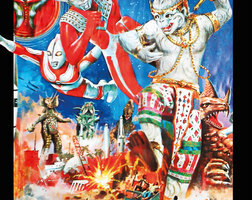 The result is cinematographic madness, a wild mess of science-fiction, giant monsters, reincarnation, popular beliefs, epic scenes taken from Buddhist and Hindu myths that will of course culminate in a titanic battle, where 6 Ultras, Hanuman and 5 giant monsters fight it out!